“The Falcons have landed," Elon Musk wrote on Twitter, inaugurating the first successful recovery of all three rocket boosters. The middle booster, after pushing the payload into space, returned nearly 10 minutes later for a successful landing on SpaceX‘s seafaring drone ship 400 miles (645 km) off the Florida coast. In the 2018 test mission, Heavy’s core booster missed the vessel and crashed into the Atlantic Ocean. 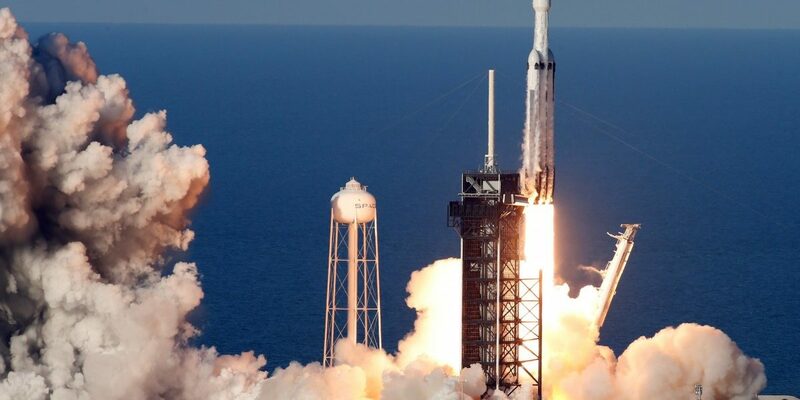 “The Falcons have landed”, Musk wrote on Twitter, inaugurating the first successful recovery of all three rocket boosters, which will be refurbished and re-fly in another Falcon Heavy mission this summer to carry a swarm of military and science satellites for the Air Force. SpaceX and Boeing Co are vying to send humans to space from US soil for the first time in nearly a decade under NASA’s Commercial Crew Program. SpaceX’s Crew Dragon capsule, atop a Falcon 9 rocket, cleared its first unmanned test flight in March ahead of its crewed mission planned for July, while the first unmanned test for Boeing’s Starliner capsule is slated for August on ULA’s Atlas 5 rocket.